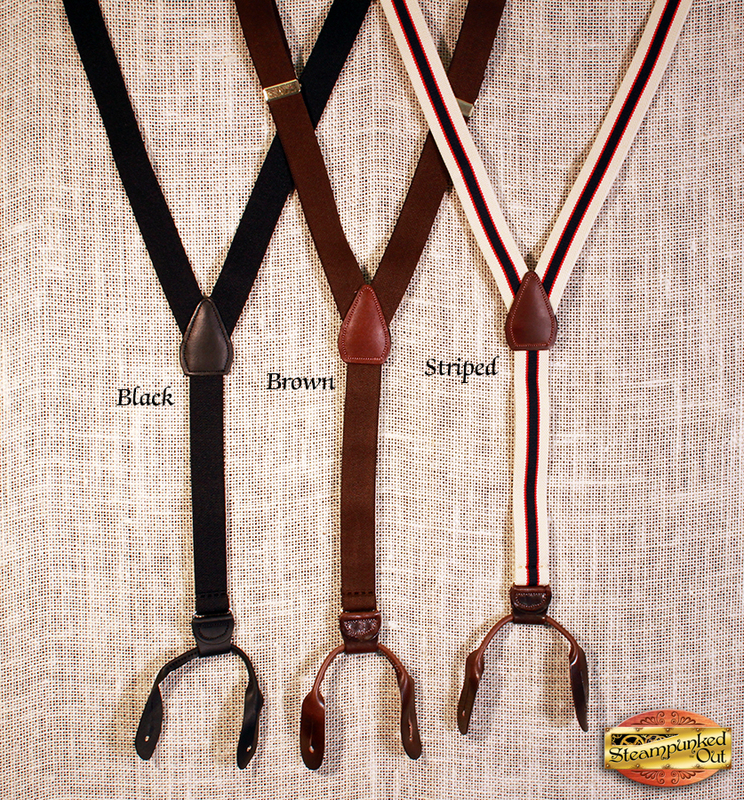 We are happy to offer these made in the USA button-on suspenders. 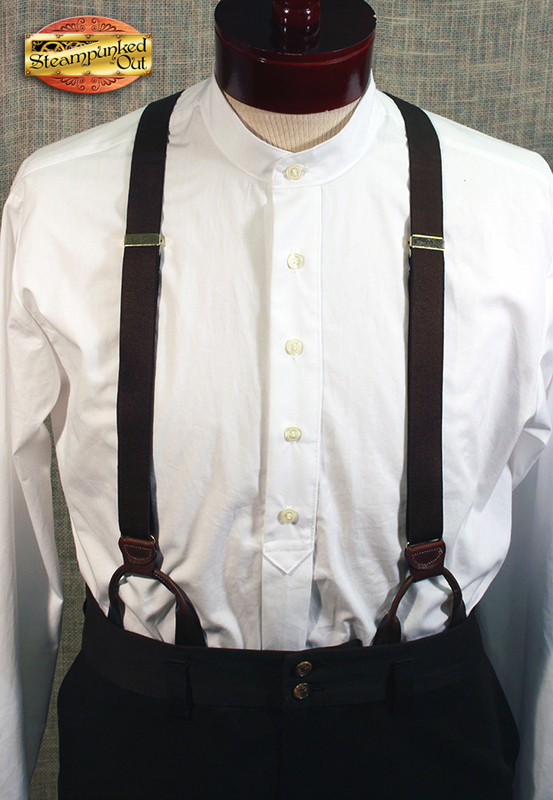 They are one inch wide elastic with leather details and metal slides; the perfect compliment to a pair of trousers and come with one set of 6 suspender buttons to add them to your favorite trousers. Sizing: These are sized according to height. 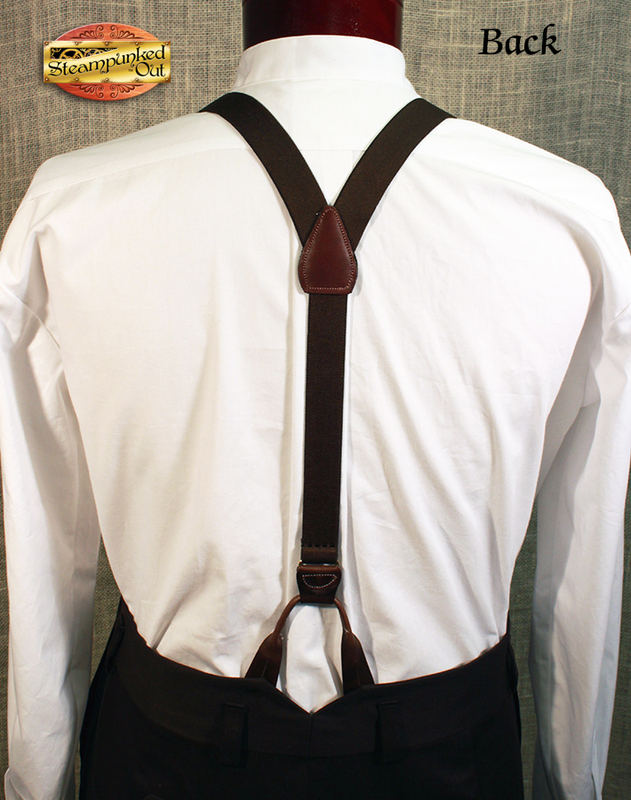 **waist sizes larger than 45" may want to order one size up short: 5'-5' 7"